I present the practice of Aikido at this dojo as a discipline of purification of the self which in Japanese is called Misogi: to launder the self and restore the self. There are many facets, as I see it, to the Misogi process, which I will try to break down here. The foundation of Misogi comes through the process of developing breathing power called Kokyu-ryoku. Kokyu (breathing) is a metaphor for everything you are doing in Aikido. The process of developing Kokyu-Ryoku starts right at the beginning, even when you are just starting to learn how to follow and fall as Uke, or how to lead the basic movements as Nage. It is when you put all your attention into trying to absorb what you see and feel during the demonstration, and expressing out what you observed, into your practice. And this is the foundation for the practice of the repeated movements of drawing in and expressing out as an expression of Kokyu-ryoku. Because the development of kokyu-ryoku is experiential, I do not give detailed verbal instructions to Nage or Uke. Instead, I aim to draw your attention by not saying much. Step-by-step learning can be satisfying because it is tangible, but disregards the purpose of Misogi practice. My approach can make you feel lost or frustrated, but I really believe that’s where most learning can happen, and this way of dealing with such struggles is the first step of the Misogi practice. However, I will give guidance as necessary. So please try to apply the same energy you see and feel in my practice or demonstration to your own practice. And most importantly, be kind to yourself. Another layer to Misogi practice is the development of relationship and asks the question of ‘what is my role?’. Nage and Uke’s relationship is like the relationship between a conductor and the musicians in the orchestra. When you are Uke, you have 2 points of focus. The first is to try to connect with your Nage, just like a violinist actively follows a cue from the conductor. The second is to support your Nage. If you notice your Nage is struggling, instead of giving verbal advise to “correct” it, be compassionate and continue to follow Nage. In this way you are also promoting your own development through practicing Uke’s role. And when you are Nage and feel a question, I can suggest two things. The first is to stay with your question and continue to practice through it – the answer may come from yourself. Another way is to simply go back to watching how I am working with another person during practice or a demonstration, and express out what you see and feel. And again, if (or when) you feel you are struggling, remember that your Uke is there to support you. So please take your time and keep working silently and allow yourself to struggle and grow in a supportive environment. And most importantly, be kind to yourself. Even though Nage and Uke are two distinct roles, it is important to keep in mind we are all on the same side, working together towards the same cause, just like a conductor and musician are two distinct roles working in the same orchestra. And like the orchestra is a community of parts, so is this dojo. This leads to my final point on the importance of universality, which I see as vital to the Misogi process. In order to create a feeling of universality, I feel it is very important for each individual to awaken a sense of the self as earthling which could be the starting point of everything we do in Aikido and in our life. By viewing ourselves as earthling above all other roles we play, we are promoting an awareness of commonality and a sense of connection with our surroundings instead of focusing on difference. This leads to the breaking down of the wall between ‘me and the other’ and, in a larger sense the ‘us and them’ and goes towards developing the sense of one-ness as us. And eventually this could bring us to the feeling of continuity with nature in our journey of Misogi process. And through it all, be kind to yourself. Energy of peace all around and within us. Together these words make up the Aiki Blessings, which are the foundation of Aiki Attunement and at the core of Aikido philosophy. “Aiki” is a Japanese word meaning to unify with universal energy, and “attunement” means to bring in to harmony. The energy work of Aiki Attunement re-opens the gate to higher awareness while deepening and grounding our practice. 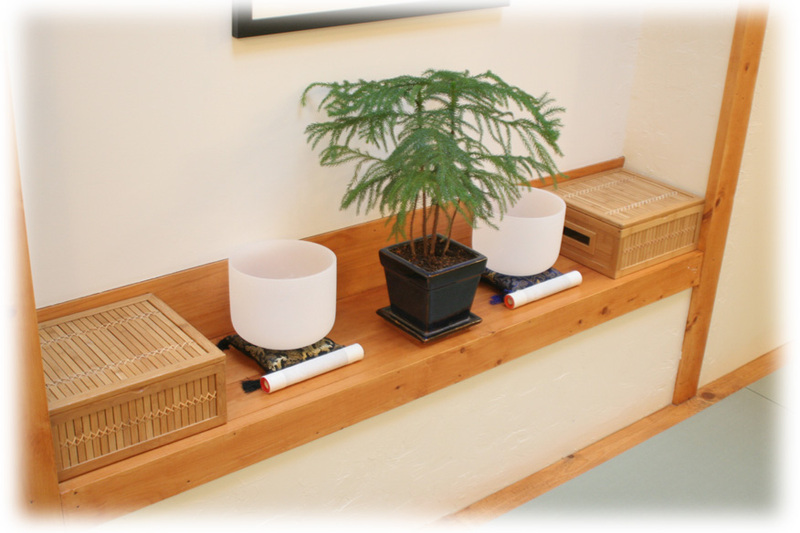 Through this process, the Aiki Blessings become tools to cultivate a connection to our higher frequency of self to enhance the practice of our life. These simple and powerful words of virtue have been called one of the greatest prayers, Futo-norito-goto. Filling our self with this sentiment, can open, humble and – with an incredible energy force – cleanse and prepare us for what comes next. These blessings tell of a way to be and are a metaphor for the rhythm of our breathing. They are used in the practice of self-healing and higher awareness. In the process of becoming an adult, we often lose this natural connection to a wise and open self, and start to engage with a buzz of self-doubt, defeatism and/or negativity, which can prevent us from being all we are capable of. Aiki Attunement assists in re-opening the passage and offers tools to strengthen the connection. Like our personality, every person’s experience of Aiki attunement is unique. One may experience mental clarity, “inner strength and power”, a sense of calm and “inner stabilization”, a sudden “burst of energy… a supportive energy in and around”, “being in the moment ‘now’”, or simply f eeling at peace, “like all is OK”. The lasting impact of the Attunement is reliant on our continued efforts to integrate a practice into our daily life. We fill our self gently with the message of the blessings within, while, like a wide-eyed and curious child, we keep our mental posture active and open to what is happening around us. And the most important practice of all is to be kind to our self – “it’s ok” – especially when we feel we are not in balance. When we practice this with kindness and patience to our self, we start to remember who we truly are and again our true sense of self begins to shine and resonate throughout. that becomes what is real. I am a part of nature.